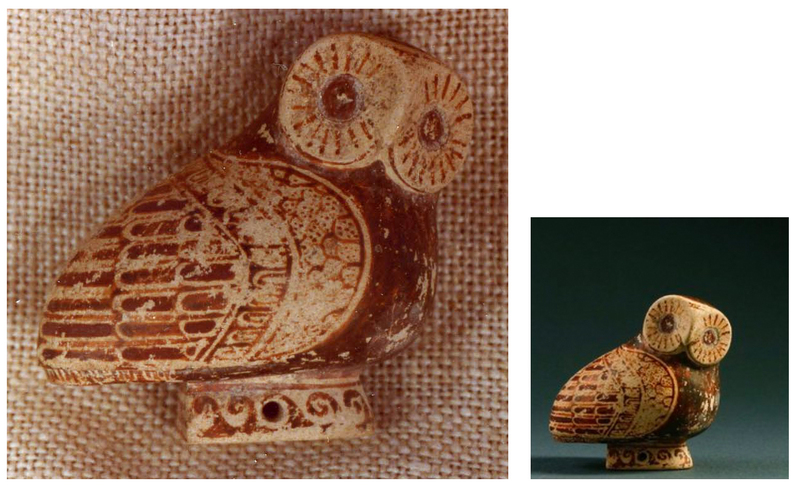 Among the antiquities seized from Michael Steinhardt was a Protocorinthian owl that had been acquired in 2009 for $130,000 (see Search Warrant). A comparison can be found in the Louvre. The Steinhardt owl appears in the Medici Dossier. How was it acquired by Steinhardt? What was the migration route? See also the 20th century "imitation" donated to the J. Paul Getty Museum by Jiri Frel in 1979. I am grateful to Dr Christos Tsirogiannis for sharing the image with me.